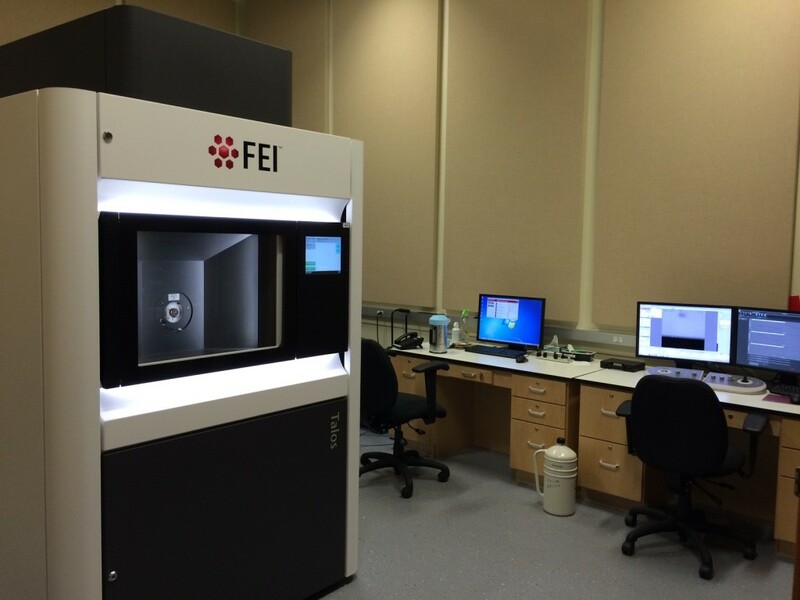 Talos™ F200C is a new generation in TEM, built to deliver rapid access to 2D and 3D data for scientific discoveries. With configurations for materials and life science research. Talos F200C is a truly versatile system with many innovations that will serve your research needs and significantly enhance your research impacts. The FEI Talos F200C combines outstanding high-resolution scanning transmission electron microscope (S/TEM) imaging and diffraction with 3D Tomography characterization and EELS compositional analysis. The Phase-Plate unit on Talos F200C allows dramatically enhanced contrast for low contrast phases and components, along with the HRTEM imaging with fast navigation for dynamic microscopy. FEI Talos F200C does all this while also providing the highest stability. Talos delivers fast, precise, quantitative materials characterization in multiple dimensions, with new software features designed to improve imaging and increase ease of use. Talos pairs outstanding high-resolution S/TEM and TEM imaging with EELS, phase plate and tomography to deliver structural information as both 2D images and 3D volumes. Innovative new software extends the range of materials that can be analyzed while the new Ceta and Falcon-II 16M cameras quickly zooms from large field of view to atomic scale. The new piezo stage assures drift-free imaging and precise navigation. And with more objective lens pole-piece space, Talos F200C can accommodate application-specific in-situ sample holders for dynamic experiments.